This entry was posted in WordLily and tagged nablopomo, photograph, Sprout. Bookmark the permalink. 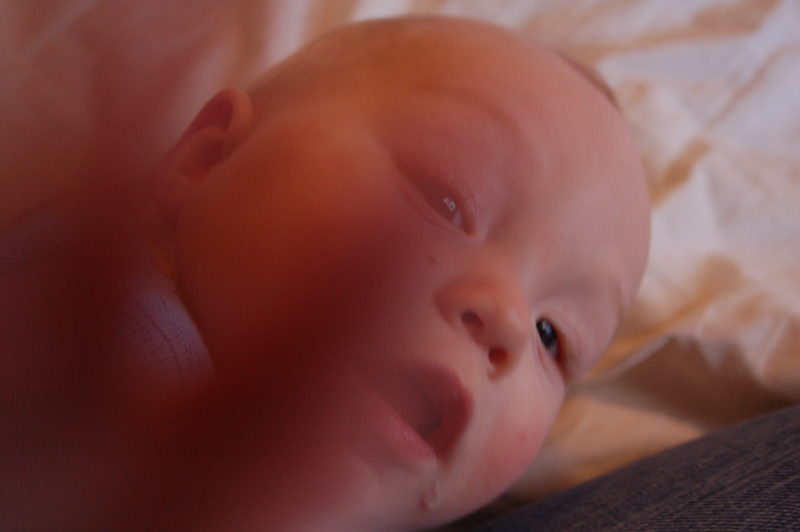 It’s amazing to me how quickly he learned to be conscious of the camera! I love it! Vance used to do that all the time. “I said, NO PICTURES!” LOL! My favorite is the little tiny droplet from his mouth! Ha. He looks so determined! Between the baby reaching for the camera and the monkey putting his hands in front of his face, I can’t get a decent picture of either one of them.